A standout from The Book Of Ryan, the Boi-1da-produced song painted a bleak, morose and turbulent picture of the Montgomery household during the holiday season that was anything but happy. Starting off rather dark, things just get progressively dismal with each chapter. In a rather graphic detail, Royce describes how his father’s drug- and alcohol-fueled rage would set its sights on his family, particularly the Montgomery brothers. Royce and his brother, Kid Vishis, initially witness their father’s domestic abuse of their mother, before their older brother Greg – who would resort to alcohol as an escape, himself – would try to stand up for himself. Ultimately the combination of their father’s abuse and rage would prove costly, as he would end up knocking Greg out, forcing Royce’s mother to call the police and have his pops arrested. Royce then concludes that, despite his rough upbringing and abusive patriarch, he was eventually able to turn the negative into a positive and use the struggle as POWER to move forward. 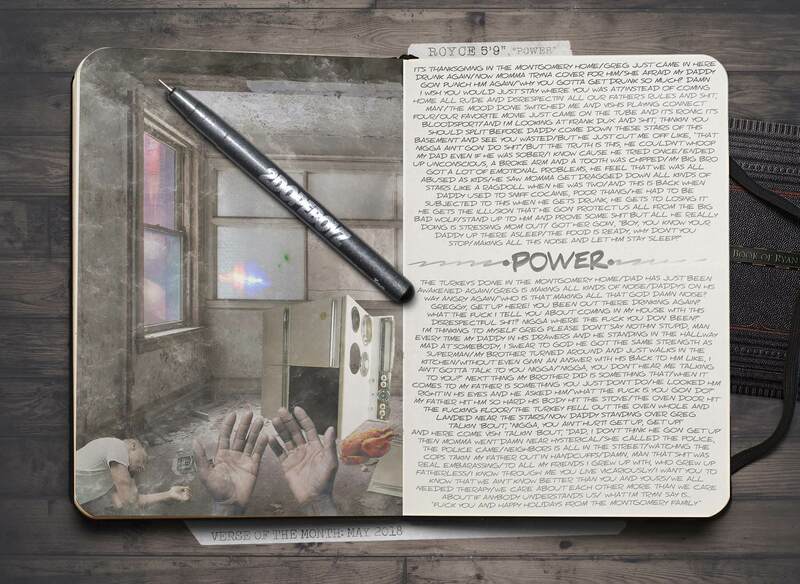 Royce’s gloomy and somber “Power” was the pinnacle of an intensely personal album in The Book Of Ryan, and proved once again that 5’9″ is one of rap’s preeminent lyricists today. It may have been Pusha’s week, but it was Nickel’s month.